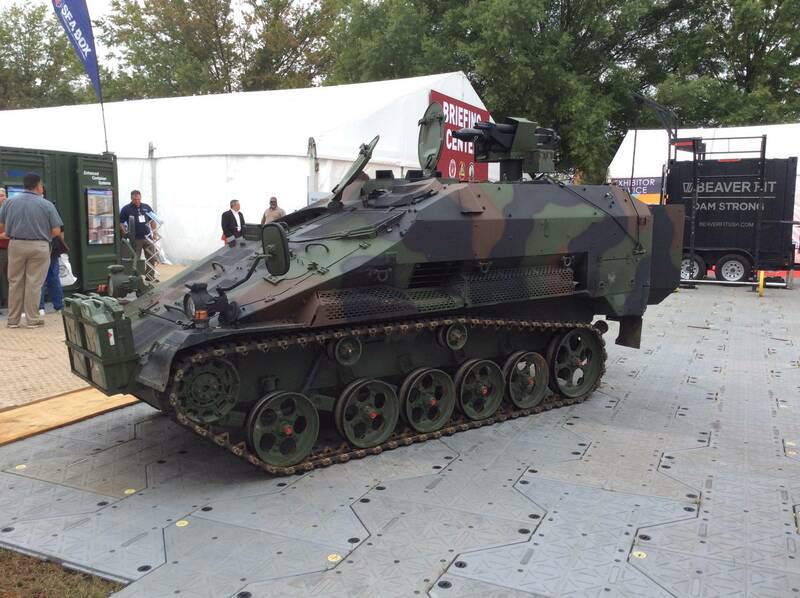 During the recent MDM 2015 (Moden Day Marine) event in the United States of America, an interesting version of the Wiesel 2 was presented (and apparently marketed to the USMC) by Rheinmetall. 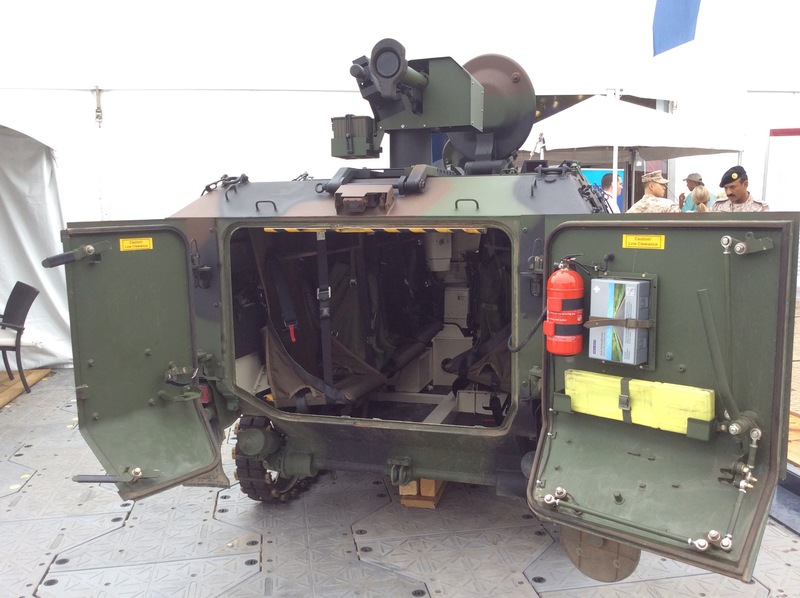 The vehicle is configured as armored personnel carrier (APC) and seems to provide enough space for six dismounts, a driver and a gunner (although it might be 5 or 7 dismounts, the available photographs are limited). The most interesting aspect however is the weapons choice. The remote weapon station (RWS) is fitted with a rocket-propelled grenade launcher (in the vehicle shown at MDM there was a mock-up of one of Dynamit Nobel Defence's RGW weapon systems) and a three-barreled 7.62 mm machine gun made by Rheinmetall. It seems to be the externally powered RMG 7.62 machine gun that Rheinmetall first presented in 2013. Unlike gatling-type machine guns (miniguns), the RMG 7.62 does not use multiple barrels to incease the rate of fire (RoF), but rather to increase the longevity of the weapon, while having a RoF of a modest 800 rounds per minute. It seems reasonable to assume that the weapon station might be modular and able to handle other machine gun systems (such as the MG3 and the M2 Browning) and recoilless weapons (such as the AT-4 or maybe some fire-and-forget systems such as Javelin).